Having a great deal to do. "Being busy does not always mean real work. The object of all work is production or accomplishment and to either of these ends there must be forethought, system, planning, intelligence, and honest purpose, as well as perspiration. Seeming to do is not doing." Thomas was a smart man, but my busy is not like his meaning. It's more like the adjective above, and it is self-imposed pressure. Can I just say there is a lot going on in my sewing room? I have been working on a mini or two in anticipation of my post for next week for Jennifer's Modern Mini Challenge Blog Hop. Sneaky peak here, taken in the mirror so you really can't see the entire mini. This one just needs the binding hand sewn on the back side. I had fun quilting it using the new BSR foot on the Bernina 820 for the first time today. I've always wanted to make a color wheel mini, so I am working on this for the mini challenge, too. It's my version combining two ideas of Purl Bee minis. You'll have to wait until my day on the blog hop to see it finished, but don't forget to check out all the other lovely posts on this blog hop. There are new ones everyday until next Friday. I finished block #6 in the Swoon-along. Whoot-whoot! Only 3 more to go and this quilt will be ready for sashing and finishing. 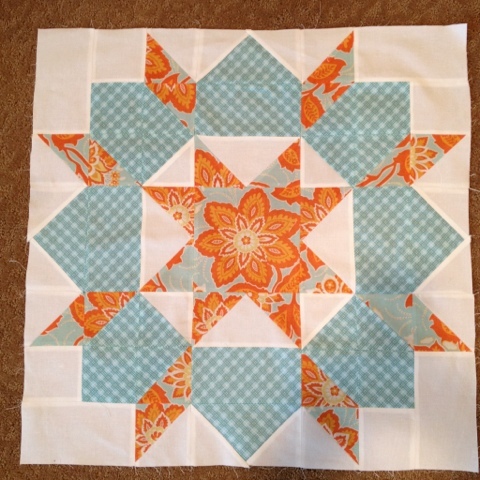 I am loving this QAL and Katy is a kick and such a great QAL-mama! She actually comments on almost every addition to the Flickr pool. There are some seriously beautiful additions to this pool. There is even a cross-stitched version! I'm still working on what to make for the FTLOS swap. I know what fabrics I am using and I think I will make my partner a sewing machine cover, one of the things she requested. My partner has been pretty silent but everyone else has reacted positively to my color palette so I feel confident moving forward on this plan. 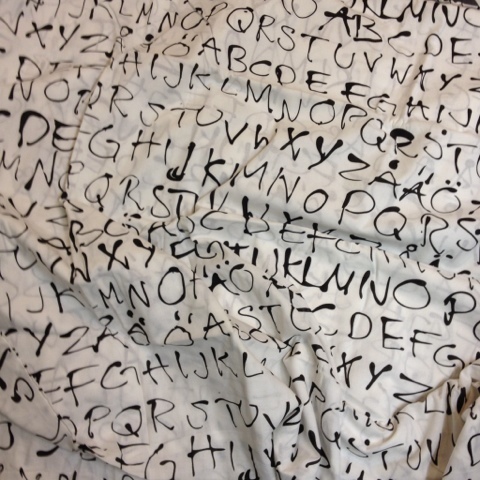 I finally broke down and went to IKEA today to look for sheets to use as the backing on some future quilts. 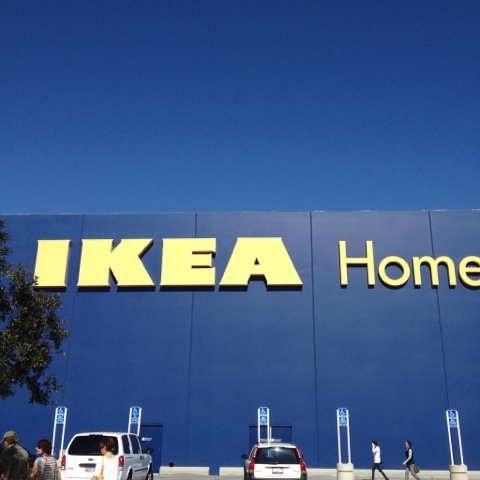 I hate going to IKEA. It is so big and confusing. But, I went in, found what I wanted and got outta there fast. I bought this to be used as a backing on a quilt. I love it, but don't know what I will use it for yet. with these fabrics for the April birthday girl. I also ordered one more solid in the Spice color. I am really excited to make this quilt. One gigantic star. I found this sheet to use as the backing. I think it's perfect. 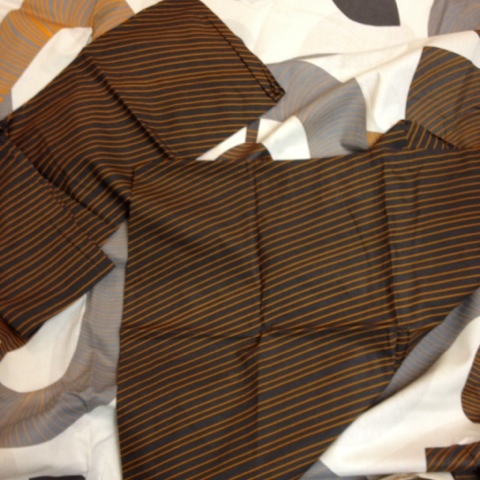 And these black and spice striped pillow cases will make a perfect binding. linking up with Lee at Freshly Pieced. I really like your solid choices. I think your partner will love them! Also, you sound busier than me!!! And that's saying something. Trust me! wow - lots of beautiful fabric there! Love your palette for the FTLOS! 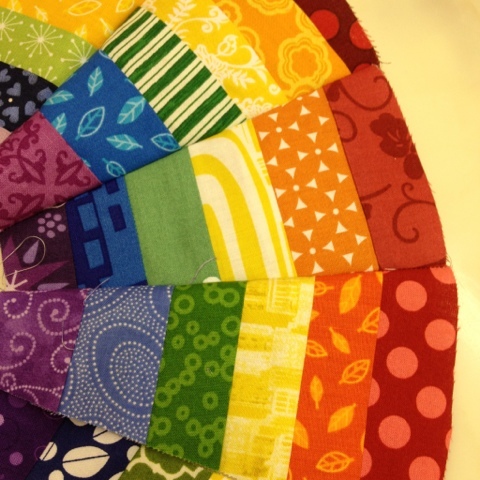 I love the fabric for the April birthday girl quilt. I can't wait to see the quilt finished. P.S. found you through W.I.P. 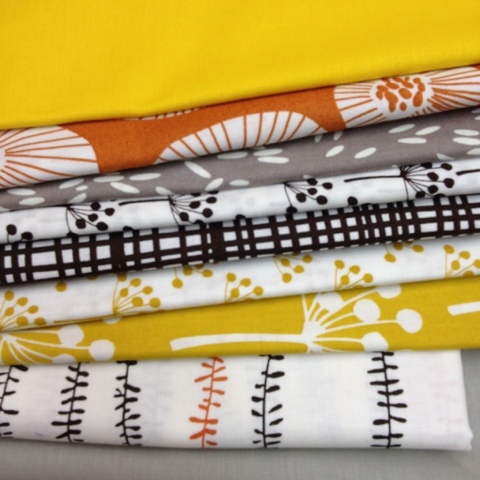 and I love your sneak peak, and your fabrics for your quilts! I think no matter how busy you are, you are doing a great job at keeping everything together! Oh, that fist photo is fab! I thought I'd stumbled across Mary @Molly Flander's work! I am really looking to see it finished in all its beauty! You are going to be ready for your holiday this summer when it rolls round. Don't forget to breathe when you are juggling all these balls! Can't wait to see more of those minis! Your ftlos stack looks excellent and would be completely welcome at my house. Hope you get some projects done and can relax soon! Okay, loving the look of your minis, I'm hoping to start on one at the weekend, but I'm not sure how it's going to turn out yet. 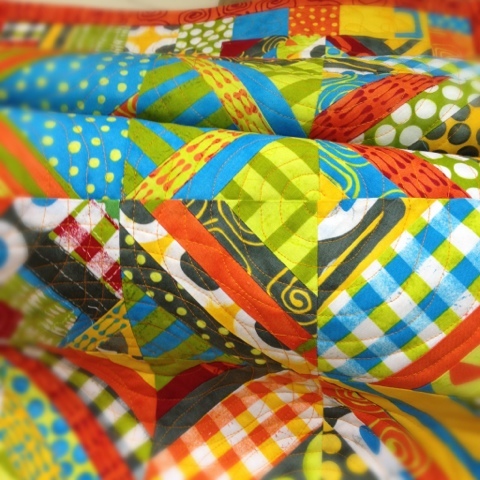 Loving the fussy cut centre on your Swoon, it's going to be a lovely quilt. I have a plan for my FTLOS items, but I have 2 fabrics on back order, which I really hope come early next week. I might start cutting the other things down in anticipation though, to make it quicker when it does arrive. Love the quote and can totally relate to your post. I love the mini's and the stack of fabric for the swap is perfect! Here's to finishing your projects! Your mini looks amazing! The quilting too. Looking forward to the reveal. I love your use of IKEA sheets and pillow cases as backing and binding. That is something I had not thought of, though I have used sheets as backings before. Wowza! Talk about busy! I love that sheet you got from ikea. Gotta go there now. Couldn't you have just picked up an extra for me? Wow! You have so many great projects going on. :) I can't wait to see your made in cherry quilt! Love the peaks at your mini projects - so colourful and fun. 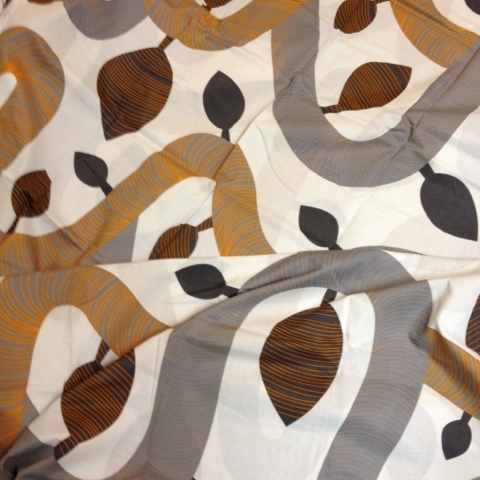 Love the backing fabrics/sheets you found at IKEA.